When a stranger, aka the new earl of Drayson, knocks on your door and informs you that you and you widowed mother must move out and then a mere few hours later is back in your home suffering from amnesia, what do you do? You tell a few small lies and then bam, you instantly have a new butler, coachman, and servant at you beck and call. Lucy Beresford tries very hard to stick to her promise to her late father, a vicar, that she’ll never tell a lie again, but it seems that Colin Cavendish could learn a lesson in humility and Lucy knows that sweat and heard work can help bring anyone around. What Lucy wasn’t ready for was the pangs of guilt amidst the stolen kisses. I enjoyed this book immensely! Lucy’s quick wit in an impossible scenario makes me laugh and enjoy Colin’s distress—that sounds horrible, but I must say Colin deserved it. As the pride seems to melt away, I couldn’t help but have a crush on the guy. I have read other books by Rachael Anderson and look forward to reading more. It’s no secret that the family is in dire need of money, and as the only girl in the family, Caroline knows it is her duty to be “auctioned off” to the highest bidder. She is somewhat mollified by the knowledge that she is saved from being sold to an old man that will be unkind to her when she learns she is to be married to her childhood friend, George. However, being betrothed to the family friend comes with its own set of troubles and it’s up to George to help her find peace and happiness with their agreement. Sophia’s family has fallen on hard times and she is forced to take a position as a governess in Scotland. This beautiful sophisticated Englishwoman struggles daily with the upbringing of two spoiled demanding children while trying to stay safely hidden away from the leering eyes of the children’s father. Her only reprieve comes from visiting the very quiet and stern stable master, Dermot. With a new friendship forming Sophia finds herself looking forward to her visits to the stables and the small talks she shares with Dermot. Those small talks and visits are quickly put to an end and Sophia’s safety is threatened. It’s up to Dermot to protect the woman who is slowly finding a place in his heart. Bound and determined to win the heart of the most beautiful woman in town, Miss Kilchrest, Isaac makes the long trek every week to fight the other men for her attention. However, that trek is made quite fun by his dear friend Alice, who makes that same trek every week to help with her grandparents. 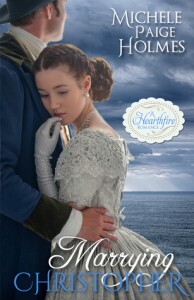 Blinded by his goals and ambitions to eventually marry Miss Kilchrest, Isaac is unable to see who really has his heart. Alice is at her wits end, she has come to love Isaac and is so frustrated with the man that he can’t even see what he has in front of him. Finally ready to throw in the towel, Alice walks away and decides that it’s up to Isaac to figure it out, because it hurts too much to watch him pine after the wrong woman. When Miss Kilchrest’s true colors start to shine, Isaac starts to see how mistaken he was, he can only hope that it’s not too late. Anyone can read a map, right? How hard could it be? With a carriage stuck in the middle of a field and finding yourself trying to fend off ferocious man eating dogs, you’ll find that it’s a lot harder than you would think. Sean had one job, get the horses and carriage to Castle Kilkenny where he is to be a new stable hand. However, a wrong turn and a muddy field seemed to have hindered his attempts at making it to the castle. With the help of Maeve and her teasing brothers, Sean finds himself falling in love and traveling on the right road back to his original destination. Stuck in a world of expectations thrown at her by society, Elizabeth Gillford finds herself trapped at home and forced to watch an older sister come out and enjoy her several seasons. Elizabeth is unable to make her “first bows to Society” until Mary, her mean and selfish sister is wed. Elizabeth has also found herself in love with Julian Broadwood, the neighbor, and has been since she was 8 years old. However, he has been “promised” to her sister. Heartbroken and looking as though she is to be an old maid, Elizabeth has an inviting personality and doesn’t let this break her. As a reader, I find myself cheering for her and Julian. Lucy couldn’t be more excited to be returning to London ready to take the Season at full speed, with her husband in tow. Last year’s Season was amazing and involved a beautiful courtship and marriage with Reed. Now married, Lucy expects her Season to be even better than before. Unfortunately, Reed has an entirely different idea of how the Season should go, now that he is an ‘old’ married man. When Lucy and Reed find their desires clashing they turn to family to help clear the misunderstanding. Then again, with the help of their well meaning family, a small misunderstanding grows into a full blown war and the couple must find it in themselves to lean on each other and remember why they fell in love in the first place. 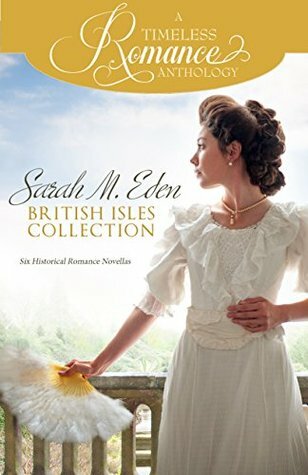 I have been enjoying all the stories that I have read by Sarah M. Eden, and this anthology is no exception. My favorite would be A Lesson in Love, because “Happily Ever After” doesn’t truly exist and you must always work hard especially after you say “I do” to keep your marriage strong and happy. Just like the other anthologies in the Timeless Romance series, I love them. Some stories I like better than others, but that’s the joys of these books. They are short and sweet and are easy to get through. You are given a wide arrange of characters and plots with happy surprises and sweet romances. At nineteen years old, Lila has been living with her uncle in South Shropshire since she was six and to find a place away from everything new and unfamiliar she started hiding in her uncle’s study and for the last 13 years she would sit in her little corner and crochet while listening to the latest news. While living with her uncle, Lila fell in love with her cousin Neville who has been away. However, while crocheting a pair of socks she hears the worst news ever, her uncle is having Mortimer Lutherford come stay and look at property while secretly hoping there will be a match between his niece and Mortimer. She is traumatized, and is determined to make the old man, thirty-three to be exact, dislike her by becoming the most obnoxious lady someone who he would surely run away from as fast as he can. 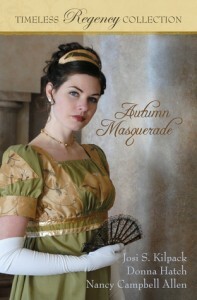 Extremely shy and a little clumsy, Hannah Palmer is forced into a Masquerade Ball by her sister. Encouraged by the mask she hides behind, Hannah finds herself flirting with the most captivating man, after a fun game of giving out as much information about themselves without revealing their true identity the night ends in a kiss, and the revealing of the masked man who is none other than the Duke of Suttenberg, her neighbor and the man she could despise more. The Duke must fight hard to win over the affections of the beautiful Hannah Palmer, and that’s what he plans to do. Persephone and Penelope or identical twins, but they couldn’t be more different. Persephone follows all expectations set forth by society and Penelope, Penny, is everything but proper. Scheming Persephone has set her eyes on the town Dr. and forces her sister to start writing in her place to the Duke of Wilmington. It’s okay until Penny finds that she is falling for the Duke and a surprise visit from him has the twins scrambling to try to trade places. The Duke of Wilmington has fallen hard for the woman in the letters and realizes right away that the girls aren’t who they say they are, but he’s willing to play along to see what the girls will think of next. 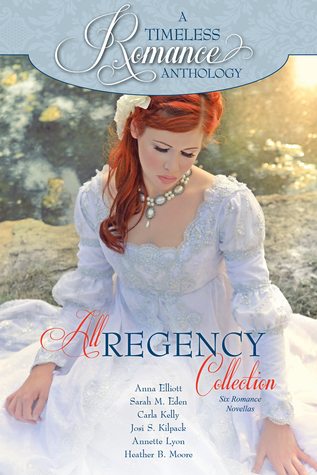 I have always loved regency and I absolutely love anthologies, so putting these together makes for a great read. I love anthologies because you get a sample of your favorite author’s writings and you also are introduced to new authors. The stories are quick and easy to read and you still have the same love of the characters even though they are presented to you in half the time. That’s what I like about these authors, they do an amazing job at delivering a great story line, creating amazing characters, and a smile on your face when you are done reading. Saving Grace, Loving Helen, and Marrying Christopher has become one of my favorite series. A historical fiction with historical facts makes for a great story. I will say Christopher’s and Marsali’s story was my favorite of the three! Christopher and Marsali are both on a steamship headed to America, both with a different past but the same desire, to begin a new life on the new land. Marsali was escaping an evil Aunt and Uncle and Christopher leaving behind his sisters and their new husband’s to work the land and earn a place for himself. Marsali would be reaching America and starting a life as an indentured servant, not the best circumstance but anything would be far better than her abusive Aunt. While aboard the steamship Marsali and Christopher begin to have feelings for each other and, but a catastrophe may sabotage their relationship. The suspense in this story kept my reading late into the night, my poor husband kept getting out of bed looking for me. I loved the characters and the plot that Michele Paige Holmes has created. I was completely hooked from page one. 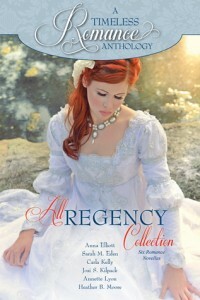 I suggest anyone that loves a good clean romance read this series.